Thinking that RFID might be a good fit for your business? Get started by reading through the FAQ’s below. Automatic identification, is the broad term given to a host of technologies. These tech systems help machines identify objects. For example, bar code data collection, and voice recognition are just a few of these systems. Also, some biometric technologies, optical character recognition, and RFID all fall under the umbrella of automatic identification. Radio frequency identification (RFID) is a generic term. RFID applications use radio waves to automatically identify people or objects. The most common method of identification is by serial number. This serial number is on a microchip attached to an antenna. It is then used to identify a person, object or information. For instance, this information could be an item’s electronic product code. The chip and the antenna together are called an RFID transponder or an RFID tag. This is where the communication begins. First, tags works by transmitting identification information to RFID readers as radio waves. Then the reader converts the radio waves to digital information. Finally, the information passes on to applications that can make use of it in real-time. An RFID system consists of a tag or RFID label, an interrogator or reader, and an antenna. The reader sends out electromagnetic waves to transmit data. The tag includes an antenna tuned to receive these waves. A passive RFID tag draws power from a field created by the reader and uses it to power the microchip’s circuits. Then the chip modulates the waves that the tag sends back to the reader. Finally, the reader converts the new waves into digital data. 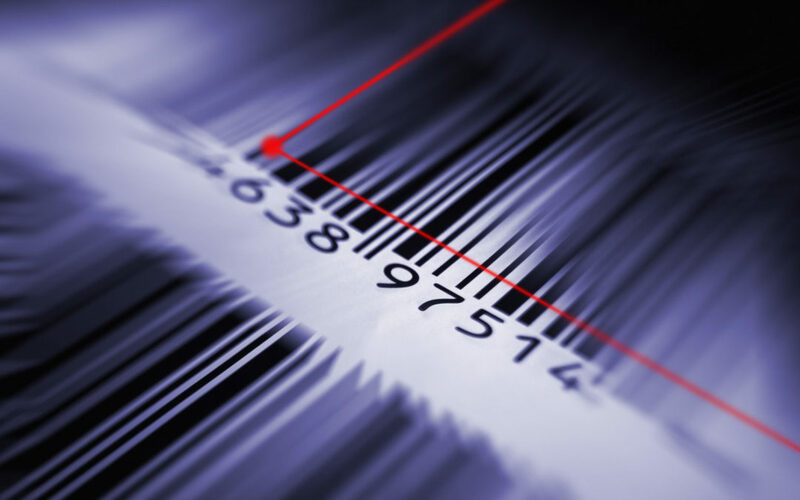 Is RFID better than using barcodes? RFID is not “better” than bar codes. The two are different technologies and have different applications, which sometimes overlap. The big difference between the two is bar codes are line-of-sight technology. In contrast, radio frequency identification, doesn’t need line of sight. Active RFID tags have a battery. This runs the microchip’s circuitry and broadcasts a signal to a reader. Passive tags have no battery. They draw power from the reader, which sends out electromagnetic waves. These waves induce a current in the tag’s antenna. Semi-passive tags use a battery to run the chip’s circuitry. But they communicate by drawing power from the reader. It depends on the vendor and the application. Typically, a tag would carry no more than 2KB of data—enough to store some basic information about the item it is on. Companies are now looking at using a simple “license plate” tag. These tags contain only a 96-bit serial number. 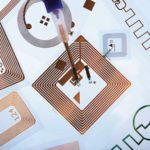 Microchips in RFID tags can be read-write or read-only. With read-write chips, you can add information or write over existing information. This happens when the tag is within range of a reader, or interrogator. Read-write tags usually have a serial number that can’t be written over. More blocks of data can store extra information about the tagged items. A signal from one reader can interfere with the signal from another where coverage overlaps. This is reader collision. One way to avoid the problem is to use a technique called time division multiple access, or TDMA. In simple terms, the readers read at different times, rather than both trying to read at the same time. Tag collision occurs when more than one chip reflects back a signal at the same time. This confuses the reader. In general, read range for low-frequency tags is a foot or less. In contrast, it’s about three feet for high frequency tags, and UHF tags from 10 to 20 feet. Where there is a need for longer ranges, active tags use batteries to boost read ranges to 300 feet or more. For example, this is necessary for for tracking railway cars. The most common applications are tracking goods in the supply chain. Another use is to keep track of reusable containers, high value tools and other assets. Also, RFID tracks parts moving to a manufacturing production line. Knowledge is key to any RFID project, so you have realistic expectations of what you can achieve. So, before seeking out a vendor, be sure to educate yourself and your project team. Remember to evaluate all the components to a successful RFID Solution. This includes not only tags and readers, but middleware as well. Without the software you’re just scanning tags! Your success starts with realistic goals, a committed team and knowledgeable RFID vendor. With this in mind, incorporating RFID technology can benefit your business.